The Gold Souk is in the old part of Rabat which is called the medina. 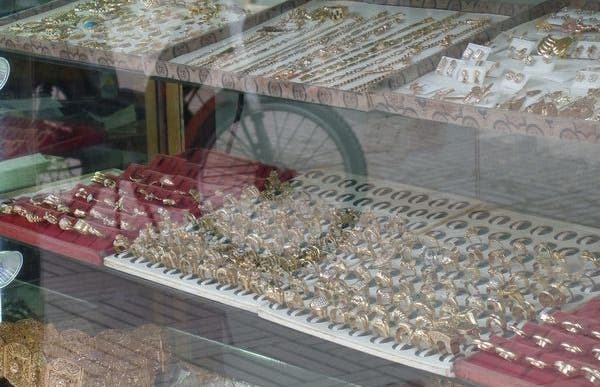 It's a small souk which has sellers of gold, silver and precious jewels. In general, they give you a price that depends on the weight of the jewelry, not by the amount of work that has gone into it. Therefore it worth buying refined objects, necklaces and earrings that are cheaper than in Europe. Girls ve are getting married come here with their mother, because her husband buys jewelry before the engagement party. It can cost about 6 months salary. The tents are very small, but as everyone knows, if the seller does not have what you like, you may go to the store next door and they try to sell you something.